Weight-loss in low-carb diets isn’t just because of a loss of “water weight.” In research studies that measured change in body fat, subjects eating low-carb diets had a greater loss of body fat than those eating low-fat diets. Additionally, keto diets lead to a greater reduction in waist circumference, a critical indicator of harmful stomach fat. A ketogenic diet accompanied by regular physical exercise and smart diet choices such as low-carbohydrate vegetables and fatty fish increase its effectiveness in shedding excess weight and fat. The ketogenic diet is so effective because they cut out the most palatable foods (e.g., pizza, grain-based desserts, and baked goods) and focus on highly satiating foods (e.g., low carb vegetables and high fat and high protein foods like meat, fish, and cheese). This causes keto dieters to feel much more satisfied with fewer calories, leading to less food consumption and more weight loss. Consistency is the most important thing when it comes to dieting. Most of the studies that yielded good results did so because subjects kept track of their calorie and carb intake and made healthy lifestyle choices. If you’d like to take a closer look at the research that led to these conclusions, consider reading through this article. 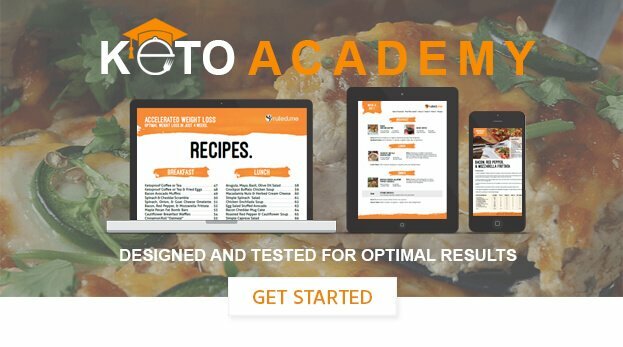 On the other hand, if you’d rather learn how you can practically apply the current research findings to your goals, check out our article on how to lose weight on the ketogenic diet.